Today marks the 107th International Women’s Day (IWD): a day for recognising and celebrating the political, cultural, economic and social achievements of women everywhere, while also calling for gender equality. What was once a lesser known – and sadly under-appreciated – worldwide event has now taken the world by storm, bringing people together, united against the oppression and sexism still prevalent today. 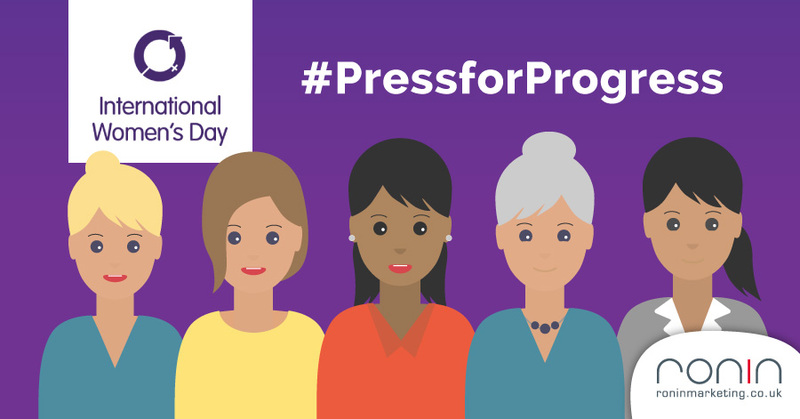 Following in the footsteps of more recent social media campaigns such as ‘#TimesUp’ and ‘#MeToo’ – campaigns demanding action against sexual harassment, assault and inequality– the organisers of this year’s IWD are projecting: ‘#PressforProgress’. This movement reflects the public’s ever-growing call to forward and progress gender parity. We must come together to end this gross gender discrimination; we must be tenacious and Press for Progress. In celebration of IWD 2018, we’ve collated a list of the 5 best campaigns which identify with the core message of IWD: recognising the strength, power and success of women everywhere. This campaign sought to challenge the stereotype of ‘like a girl’, engaging with the audience to question why doing something ‘like a girl’ is thought to be an insult. The concept of this campaign is extremely simple, and this simplicity reinforces the core message: we need to abolish this false ‘like a girl’ stereotype and embrace girl power. 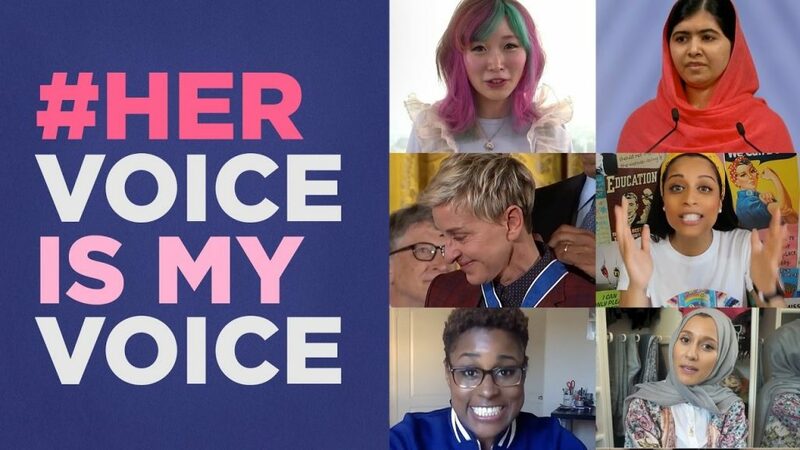 In 2017, Youtube began their #HerVoiceIsMyVoice campaign, where Youtube celebrated women using their voices to share their inspirational stories. They released a 1:27 compilation video featuring empowering women such as Ellen DeGeneres and Malala Yousafzia, alongside everyday women. 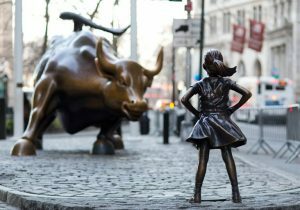 The video is a great form of media embodying the spirit of IWD. Dove’s campaign sought to raise awareness of the harsh and perpetual judgement of women. Their adverts featured women responding to their critics, proclaiming their beauty with confidence. The minds behind this campaign wanted to encourage women everywhere to stand up for their own beauty; aim to be unapologetically confident in yourself. 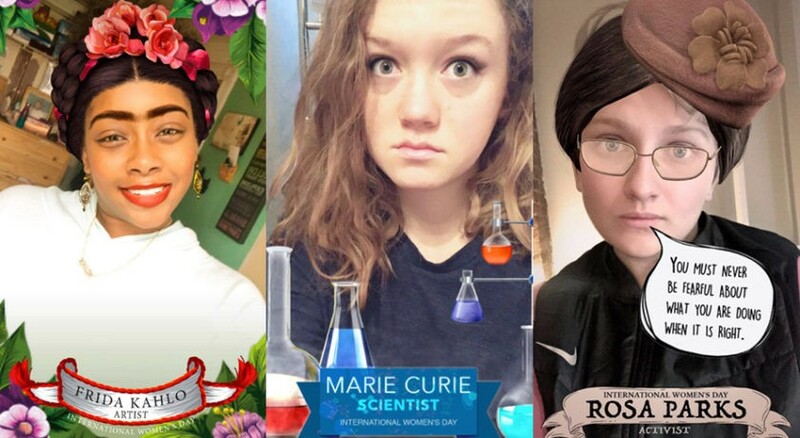 For IWD 2017, Snapchat released filters to transform yourself into some of history’s most famous females; Frida Kahlo, the artist best known for her evocative self-portraits; Rosa Parks, a key activist throughout the Civil Rights movement; or Marie Curie, the revolutionary scientist responsible for the discovery of radium and other elements. These filters helped to raise awareness of IWD, while also getting users interested in these iconic feminist role models. Here at RONIN, we’re eagerly anticipating the IWD campaigns of 2018. You can keep up-to-date with our latest news and views on social media: Facebook, Twitter, Google+, LinkedIn and Instagram.